Winter can be a tough season. Yes, snow can be beautiful, but the cold weather can take its toll! It dries out our skin and can leave our hair brittle and breaking. Of course it’s important to take care of your hair to lessen the damage, but besides deep conditioning and using great products, protecting your hair is also a great option. So today I’ve got 3 braids that are perfect for winter. 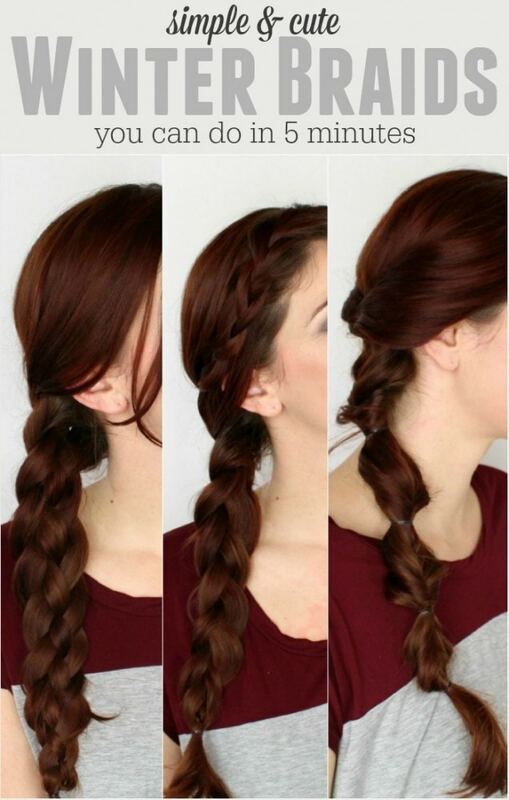 Why are these braids perfect for winter? Because they keep your hair wrapped up and not blowing around in the elements and yet they are still stylish and beautiful! Let’s start with the simplest one. I know bangs can be a total hassle and they drive me crazy when they’re blowing around in my face. 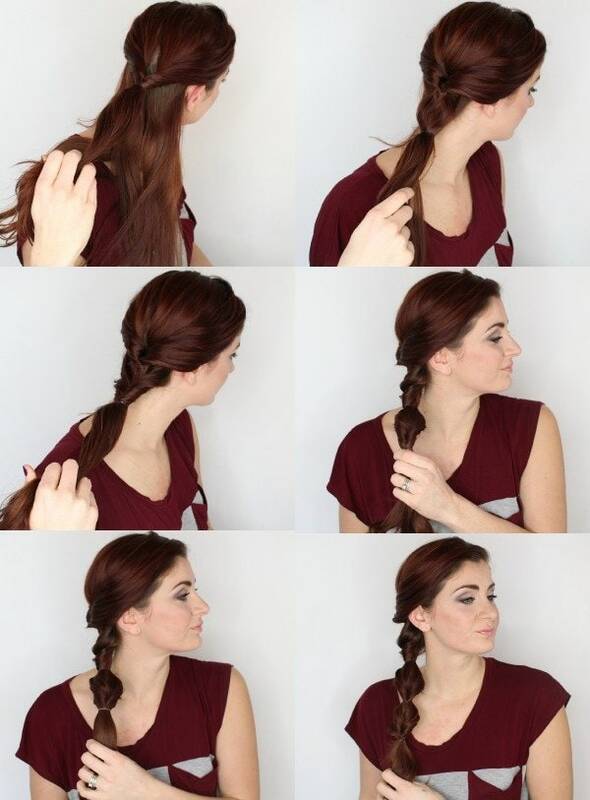 So with this braid, just do a simple French braid to the side and secure with a small elastic. Then do a big side French braid down the back, incorporating the small braid you did as you go. Then you can tug on the pieces a little bit to pull out the braid so it’s fuller and you’re done! Can’t braid? No problem! Remember the ’80’s topsy turvy ponytail? 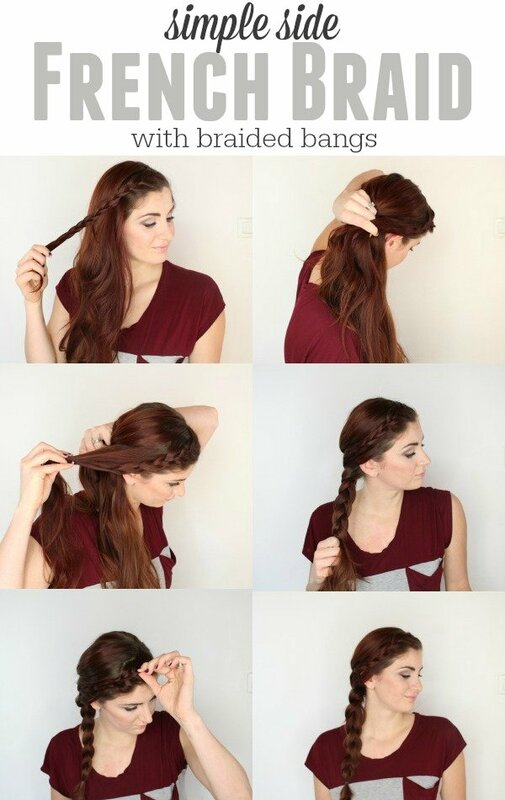 Well, that’s a simple way to get the look of a braid without actually braiding anything at all. Start with a section of hair like you’re going to wear it half up – secure and twist it under. 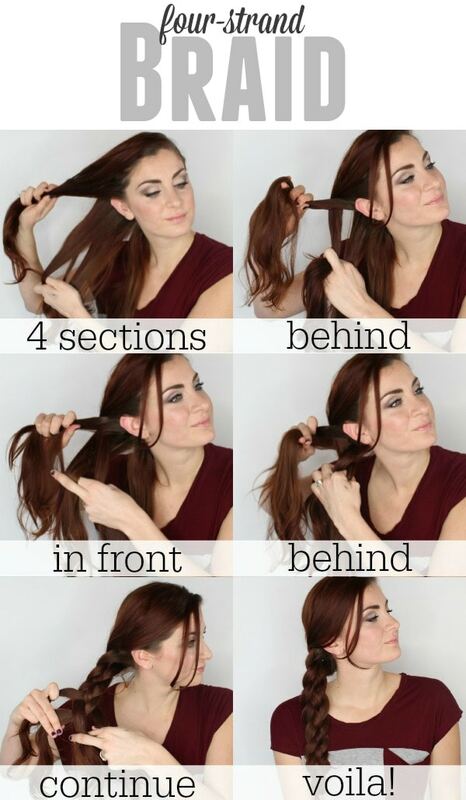 Then gather the next set of hair into a ponytail and twist under again. Continue creating the twist all the way down securing with small elastics each way. Done! This looks so much more complicated than it actually is, promise. It’s like a basket weave. Take your 4 strands and start with the one on top. Put it behind the second strand, then in front of the third strand, then behind the last strand. Start over with the top strand of hair again. Repeat until you get to the bottom! Does that make sense? 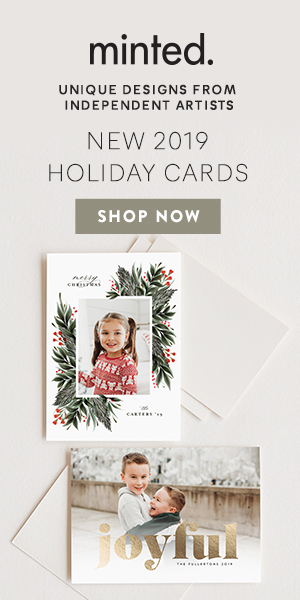 If not, leave a comment with a question, I’d be happy to help! So that’s it! Three cute winter braids that will look beautiful while keeping your hair somewhat protected from the elements. They’re also very quick and easy, and I don’t know about you, but I’m always looking for hairstyles on the go. Bridal Hairstyles You Can Do Yourself!